The Data Place (https://www.thedata.place) is a UK social enterprise that helps people and places thrive through better open data discovery, publishing and use. Bringing together infrastructure, data skills, human-centred design and open-source development, The Data Place is focused on helping clients get the best out of open data by providing low cost infrastructure and expertise to help its clients in the public, private and voluntary sector build sustainable data ecosystems for social purpose. The infrastructure product line is built on the hosting of low-cost open source open data portals and content platforms. The Data Place development team has always been focused on using the infrastructure best tailored to their individual needs, but are particularly aware that optimizing infrastructure is a pivotal part of their business strategy. 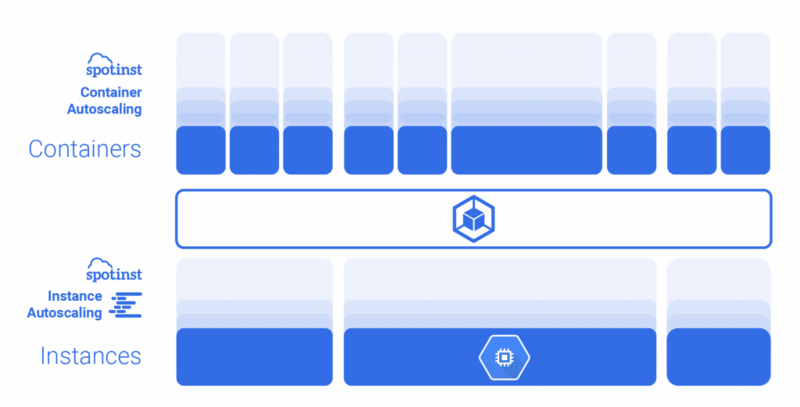 For their business, the team decided to use Google Kubernetes Engine (GKE) on Google Cloud as a simple way of deploying their Kubernetes architecture. Gerrit Neven, Lead Engineer at The Data Place, was pleased with the simplicity of the GKE process, but also sought for a way to best optimize their infrastructure. Aware that a drive towards constant optimization is a best practice for any infrastructure and a key aspect for The Data Place’s business strategy, Gerrit searched for a solution to help improve The Data Place’s GKE cost and instance optimization. When Gerrit first came across Spotinst, the idea of running GKE environments on Preemptible VMs without interruption or management hassle sounded like a sales pitch that was too good to be true. Keen to put the claim to the test, Gerrit signed up for a trial with Spotinst and, with support from the the Spotinst team, was able to integrate The Data Place’s Google account with Spotinst Elastigroup in a matter of hours. With the integration complete, Gerrit moved over his GKE clusters to run on Spotinst Elastigroup, Elastigroup now handling the infrastructure provisioning for the cluster. Elastigroup was then able to automatically provision Preemptible VMs to be used instead of full price instances, helping The Data Place reduce their GKE costs by over 70%. Running GKE clusters on Preemptible VMs isn’t the only way in which Spotinst Elastigroup increases optimization. Elastigroup’s Kubernetes Autoscaler also ensures the best possible instance utilization by reading the pending pods and spinning up the best sized instance to match these demands. What this means is that GKE users can ensure their GKE environments can be spinning up the instances which best fit the environment’s individual needs. © 2018 Spotinst. All Rights Reserved.